The Indiana Paranormal Investigators are spending the night in a gothic mansion on the outskirts of Cedar Point, Indiana. Four people are participating...only three remain in the morning. There have been other disappearances and homicides in the past connected with the mansion. And the one common denominator has been the weather. 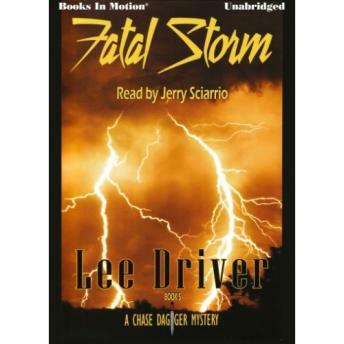 FATAL STORM finds Dagger and his entourage spending a night in the mansion to seek answers. But they get more than they bargain for as another storm builds on the horizon. This is the fifth in the Chase Dagger series which combines mystery with elements of fantasy, sci-fi, and horror.